Thinning hair and hair loss are common problems for both men and women today. Most of hair problems are associated with hair duct condition and follicle (hair roots) activity. Oil glands in the follicle secrete sebum to lubricate skin and hair. 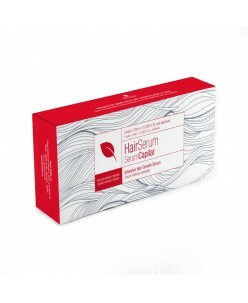 4MEGA dramatically reduces hair loss by nourishing the scalp and generating hair growth. 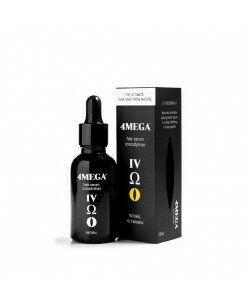 4MEGA hair serum contains pure crocodylinae oil rich inessential fatty acid. Omega 3, 6, 7 and 9. Boosting anti-inflammatory and healing properties for the scalp and hair. 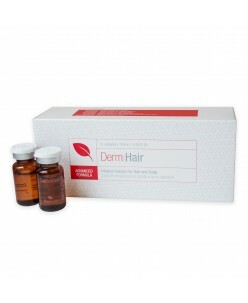 End result offers deep strengthening of hair follicles. Crocodyl..
We present a mixture of main antioxidant active ingredients, cytoprotectors and biostimulants able to improve blood circulation and nutrition to the hair follicle, with the aim of reactivating it. They also improve hair quality, producing a better structure of the keratin of which it is made up, which not only makes it stronger,.. Product descriptionIntensive Hair Growth Serum that reduces hair loss by stimulating hair follicle thus increasing hair growth. It improves the dry, brittle hair and improves oily scalp, dandruff and reduces scalp itch. Active Ingredients: Capilar Biocenta® with amino acids and proteins Procapil® Peptide-. Combat the aging proce.. 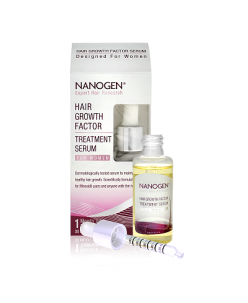 This Growth Factor Treatment Serum for Women by Nanogen is a lightweight serum that boasts a powerful, clinically tested formula that really works. Designed to maintain natural hair growth whilst restoring moisture and condition, this easy to use serum is created specifically for thinning hair by shielding hair follicles from da..
Nourishing formula for thin hair that creates dramatic volume and shine. 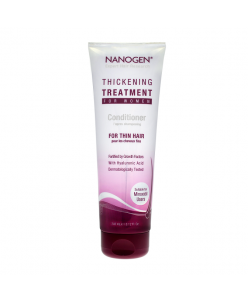 - Thickens hair from the first wash - Adds weightless volume to fine or thin hair - Restores shine and vitality - Beautifully intense berry fragrance - Suitable for Minoxidil users* - Moisturises with Hyaluronic Acid - Dermatologically tested for s..
Invigorating treatment just for women that thickens hair from the first wash. - Thickens hair from the first wash - Invigorating cleansing you can feel working - Fresh berry fragrance that lasts all day - Optimises treatment absorption - Suitable for Minoxidil users* - Dermatologically tested for sensitive scalps * Afte..
For super hair manageability and reduction of mechanical hair loss. Rejuville Hair Conditioner combines two hair conditioning agents as well as wheat protein to provide super hair manageability. 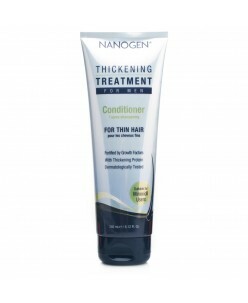 It makes hair silky lustrous firm and fuller. Rejuville Hair Conditioner also incorporates the special ingredient - phytantriol at a h..
For enhancing beard mustache and body hair. 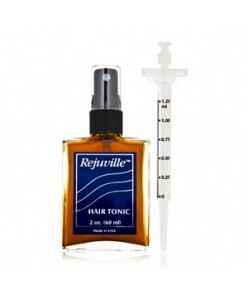 Similar to Rejuville Hair Tonic Rejuville Hair Revitalizer is specially designed to cleanse nourish and stimulate the hair follicles of the beard mustache and body hair. It also enhances color and adds luster to the hair. Appreciable results can be observed within two weeks of regular..
For severe hair loss and hair revitalization. 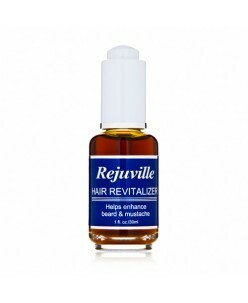 Rejuville Hair Tonic contains the mixture of Oriental herbal extracts including ginkgo biloba and plant worm extract in high concentrations. It also includes all-active biochemicals and a male-hormone inhibitor. Moreover special skin enhancer greatly increases the penetration rate o..
For pre-hair loss and thinning hair. 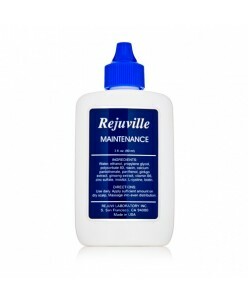 Rejuville Maintenance combines the mixture of Oriental herbal extracts with multiple active biochemicals such as biotin polysorbate polysaccharide panthenol etc. It provides hair follicle cleansing nourishment and stimulation. Furthermore it incorporates a special formulation consisting of z..
For deep cleansing and reducing mechanical hair damage. 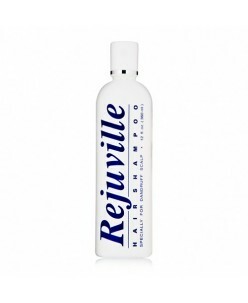 Rejuville Shampoo is designed to cleanse hair with the best result for hair growth. This shampoo utilizes a unique combination of detergents plus alpha-hydroxyl acid which helps better scalp penetration. This combination cleans hair thoroughly and removes all debris from h..
For eliminating unpleasant dandruff. 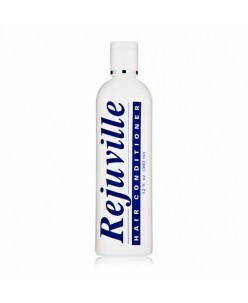 Rejuville Shampoo for Dandruff scalp utilizes a combination of several detergents removing dandruff thoroughly from scalp during the cleansing process. Sebaceous glands secrete sebum to lubricate hair; however, the excessive sebum can accumulate to form undesirable dandruff. Rejuville utiliz.. This intense serum contains the highest level of Growth Factors available without consultation. The scientifically tested formula improves hair condition and maintains healthy hair. 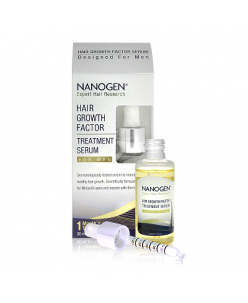 NANOGEN Growth Factor Serum for Men is a scientifically tested treatment for thin hair with the highest levels of Growth Factors available withou..
Nourishing formula for thin hair that creates strength, thickness and shine. - Thickens hair from the first wash - Fattens thin hair without heaviness - Proteins restore strength and shine - Light aftershave fragrance - Suitable for Minoxidil users* - Dermatologically tested for sensitive scalps * After trials, Nanoge..